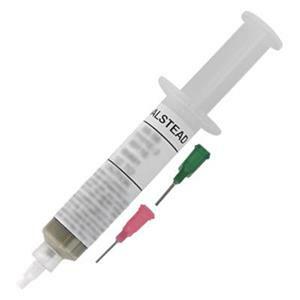 Syringe silver solder pastes for precise application of premixed silver solder, flux and binder. Cadmium free. Keep jewelry soldering simple with this complete solution that saves time and hassle. Just a little bit of paste solder is all it takes to create a secure join between silver metal pieces. Shop our full line of soldering tools at Halstead.